Allow me to introduce you to the chickens, 28 of the most scaredy of cats you’ll ever meet. The good news is we have a totally enclosed run to protect them from any famished felines or other predators. 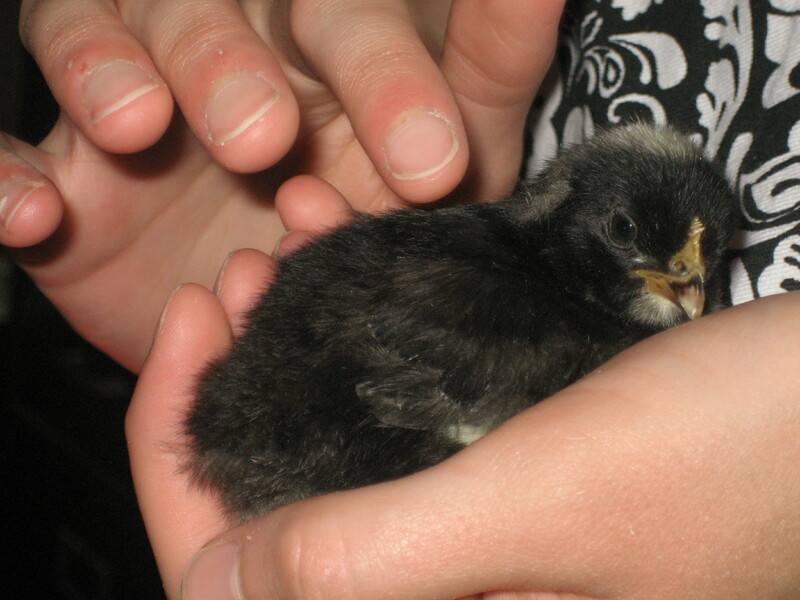 We started raising chickens in 2010 because Mom and I were concerned about buying eggs from production birds kept in small cages. We also wanted our eggs to be fresh, since eggs in the grocery store can be over 3 weeks old when you buy them. 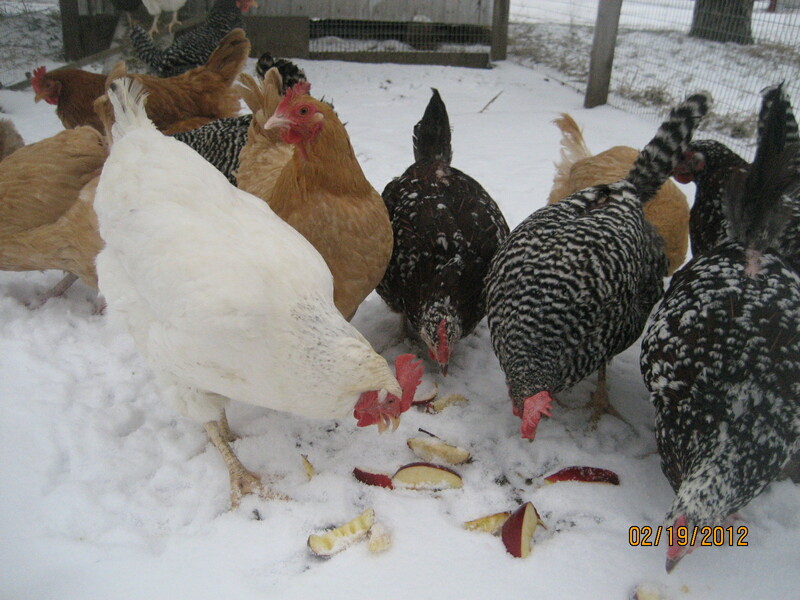 All of our chickens are Heritage Breeds. 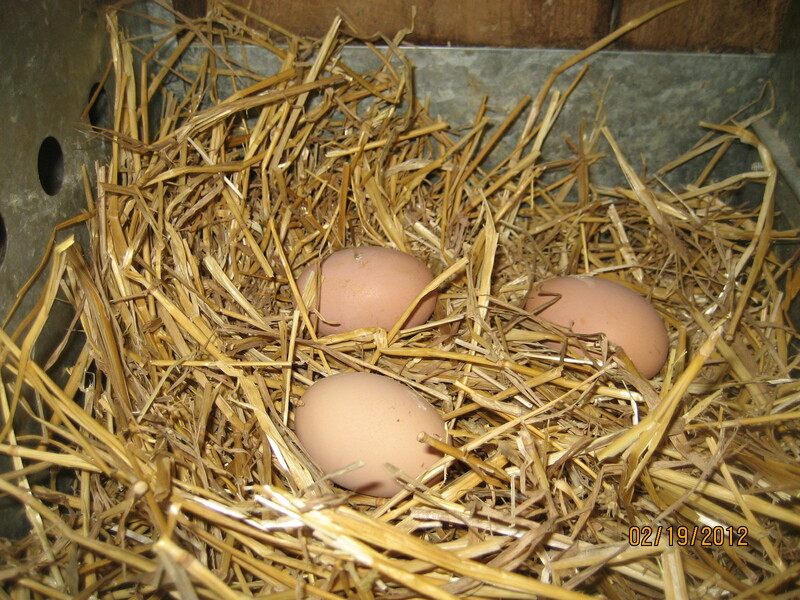 Heritage Breeds lay less eggs than production birds, so they are generally not used by large egg producers. Our breeds include: Buff Orpingtons, Ameraucanas, Delawares, Barred Plymoth Rocks, Speckled Sussex, and New Hampshire Reds. These birds all lay brown eggs, except for the Ameraucana, or “Easter Egg Chicken” that lays green eggs. Brown eggs have no nutritional difference from white eggs. However, brown eggsusuallycome from the Heritage Breeds of chickens and not the production breeds. Doesn't get any fresher than this!